Us has been earning rave reviews (for the most part) ever since its debut at SXSW. Up until very recently, it was sitting at a perfect 100 percent approval rating on Rotten Tomatoes. This serves as Jordan Peele's sophomore directorial effort and his follow-up to the acclaimed, Oscar-winning Get Out. As such, expectation and anticipation is very high. That will drive it to an opening weekend box office between $38 and $45 million. Though, some analysts believe it can cross the $50 million mark, which would be truly huge. 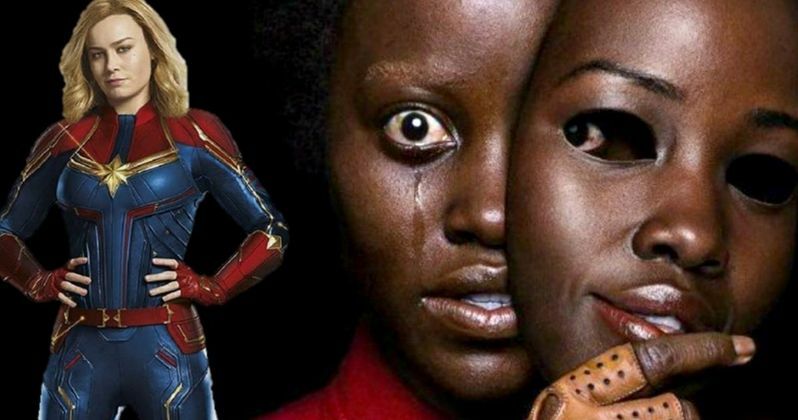 Meanwhile, Captain Marvel, which stars Brie Larson as the titular hero, should see between $30 and $40 million in its third weekend, depending on how steep the drop off is. As of this writing, it's already earned $797 million worldwide, well on its way to crossing the $1 billion mark. This bodes very well for Avengers: Endgame next month, which will prominently feature Larson's Carol Danvers, alongside the rest of the Marvel heroes who were decimated by Thanos' finger snap. Wonder Park ($8 to $10 million), Five Feet Apart ($6 to $8 million) and How to Train Your Dragon: The Hidden World ($5 to $6 million) should round out the top five. Looking ahead to next weekend, Disney has Tim Burton's live-action Dumbo on the way, which should put the Mouse House on top once again. Check out our full list of weekend box office predictions below and check back with us on Sunday for the weekend estimates. These numbers were provided by Box Office Mojo.